Oral presentation: Speakers will have 20-25 min (usually 17-20 min for presentation, 3-5 min for questions and answers). Speakers are requested to submit a Power Point presentation, if any, one day before the allotted time. Poster presentation: Posters will be displayed as a portrait of A0 size - approximately 90 cm x 110 cm. The content on poster should be written in English. * While authors should indicate their preference for Oral or Poster presentation, the final decision will rest with the Conference Scientific Committee. An abstract should be in MSWord file(refer to abstract template), at most 500 words, including title, authors, affiliations, and acknowledgement if any. When submitting your abstract you can indicate presentation type for oral or poster. Abstracts indicated for oral presentation should submit CV as well. Once abstract / registration information submitted, a confirmation will be sent via email within 1-3 working days, and the abstract will be arranged for peer-review. If you can not receive a confirmation more than 3 days, please contact: icbb@apaset.org. For submitted abstract, the review process will take place 5-15 days after your submission, at which point you will be notified by email whether it was selected for an oral or poster presentation. One registered participant can submit only one abstract, but can be a co-author in the abstract of another registered participant. All accepted abstracts will be collected in conference abstract book. - Submit online - Online Submission/Registration is open. Early-bird registration: by June 30, 2019. Abstract Submission deadline: by July 31, 2019. Acceptance Notification: normally about 5-15 working days after submission confirmation. As for abstracts only to be presented at the conference, the submission can be previously published or presented at other conference. As for full papers to publish in Journal, authors should commit that the submission to the conference is completely original and has not been previously published, nor is it before another conference for consideration (or an explanation has been provided in Comments to the Director). If redundant or duplicate publication or plagiarism is attempted or occurs authors should expect immediate editorial action to be taken including prompt rejection of the submitted manuscript. 2. Copyright: Copyright License Agreement provided by publisher will be signed when the paper is accepted. 3. 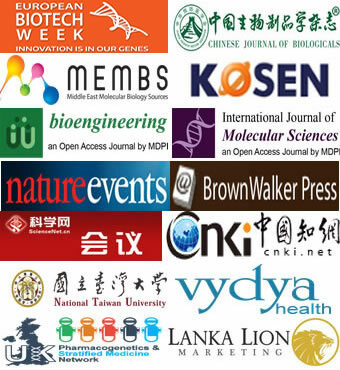 Peer-Review: Every submitted abstract / full paper will be sent for peer review by scientific committee and editorial board of conference. Manuscripts (other than those that are of insufficient quality or unlikely to be competitive enough for publication) will be peer-reviewed by two or more experts in the fields, and a decision will be returned to authors in about 2-3 weeks. If due to special circumstance, the review process takes more time, authors will be informed by email. Possible decisions on a manuscript are: acception, revision (minor or major), rejection. 4. Publication Ethics: We firmly believe that ethical conduct is the most essential virtual of any academic. Hence any act of plagiarism is a totally unacceptable academic misconduct and cannot be tolerated.